Time has flown, that’s for sure. My first blog post was a year ago today, and it was pretty weak. Over the last 365 days however, I have completed almost 80 posts, so averaging about 1 1/2 posts per week – which isn’t bad I think. For an amateur. I have also completed 5 quilt tops and 1 AYOS project (wall hanging size). 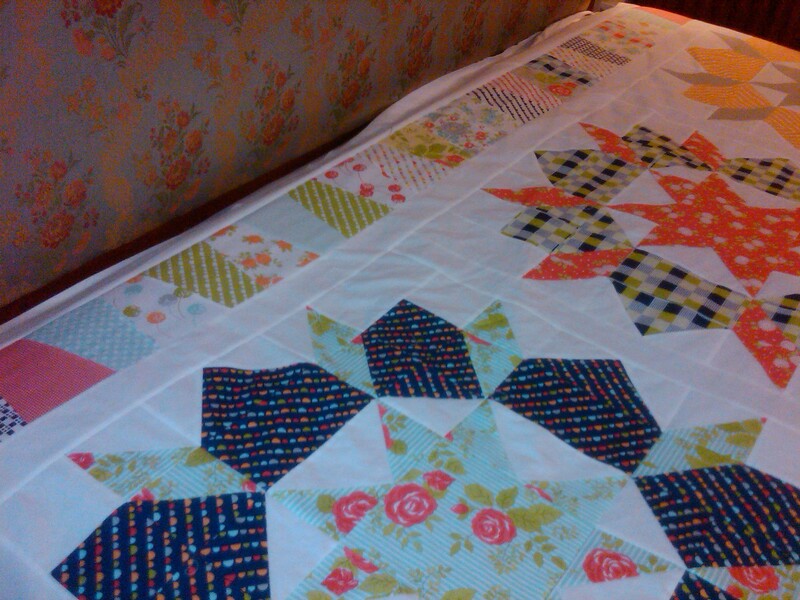 I am counting this as a finished quilt top as well, but I have one more night to dwell on it. I like it, but my husband asked – what are you going to do on the sides? Is it finished? How do you like the tumbler block border? I really think it looks good. I have it on the top and bottom right now. 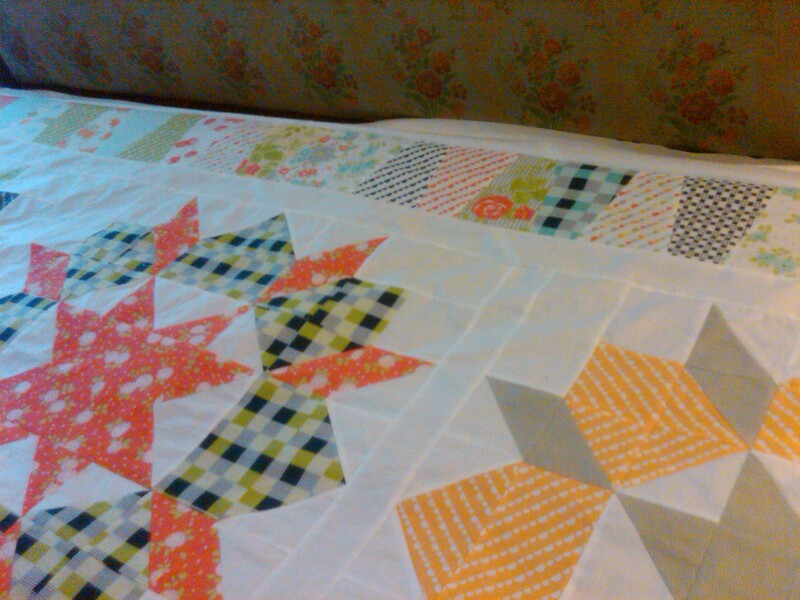 Can’t wait to see how this will look all quilted up! If I stop now, then I can do a simple back of 3 yards sewn to 3 yards… if I make it any wider… then I have options to think about. Albeit interesting options since I have so many tumblers leftover, and a jelly roll/layer cake of Happy Go Lucky I could open if needed. I think I really want to move on. It looks good to me, and it can now theoretically fit a King bed – but best for a Queen. 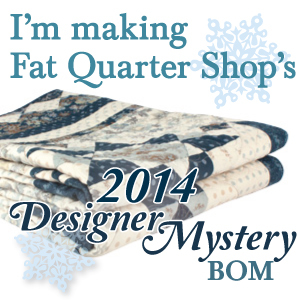 I’ve got projects piling up (2013 FQS Designer Mystery BOM is getting shipped out this week!) – but you never know what I’ll show you tomorrow. So stay tuned! Thank you for joining me today and I hope to keep seeing so much great inspiration out there over the next year. Happy blogiversary to you! I have enjoyed your blog and all the fun things you are always doing! Thanks so much for sharing! Congrats on your anniversary!! Love the tumbler border – clever girl! Wow! It looks great! You must be so thrilled with it!